← Electric cars, not machines of war! Errol O’Neill speaking at anti-apartheid demonstration on Friday 23 July 1971. Errol is asking demonstrators to maintain a silent vigil at the Tower Mill in protest against the all-white Springbok Rugby Union Tourists. Photo: Courier Mail 24 July 1971. I spoke with Errol in the state library of Queensland a few weeks ago. He showed me a book about people’s defeat of conscription during World War I. Errol was doing research for a play about conscription – about a debate that split the Labor Party. 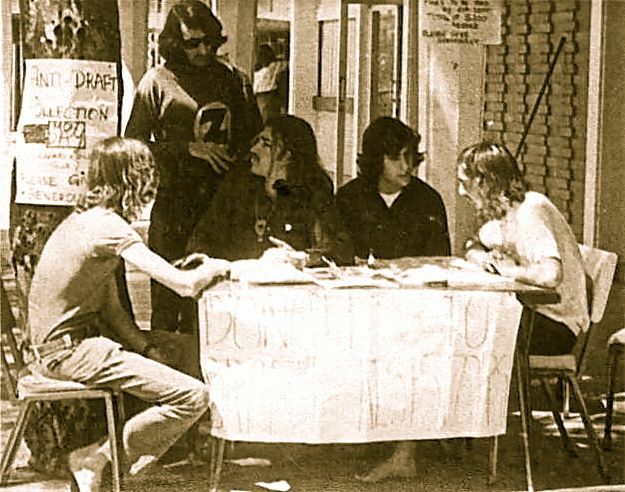 It was the anti-war movement that brought Errol and his two brothers, Michael and Dan into public life in Brisbane. It brought us all into an expression of popular will against the Vietnam war, in opposition to its genocidal racism, into confrontation with police, dodging the army as best we could, and critically opposed to the ‘military industrial complex‘. So we took to the streets and marched. We owe a lot to Errol O’Neill for helping provide the education we did not get at school, about the political history of Queensland, about brothers, Ernie and William Lane, about Fred Paterson, the only communist elected to parliament in Australia. Errol’s trilogy of plays: On the Whipping Side, Faces in the Street and Popular Front were worth a thousand social studies textbooks. His complicated optimism and despair came through in all his plays … including The Hope of the World‘ which made up his ‘quadrology‘. The Popular Theatre Troup brought Errol’s humour and acting skills onto the stage, at Uni, into schools and factories. I did see him once in a play in an old church, importantly no longer used for religious practice. Errol O’Neill was born of Lebanese and Irish parents and was 71 when he died. His mother was Gladys Lutvey, a descendant of the Lutvey and Farrah families who came to Australia from Zahle in Syria (now Lebanon) in the late 1800s. They settled in Gayndah in south-east Queensland and opened a general store there in 1898. I remember standing in a line with Errol at the launch of a book Raw kibbeh : generations of Lebanese enterprise edited by Anne Monsour. We were looking at a poster of one of his ancestors in Gayndah which was on display and he told me part of that early history of the Lutveys in Queensland. Having walked from Sydney, hawking goods on the way, they established a successful retail and hawking business in Lismore on the Richmond River. But after devastating floods in 1891 and 1893, Russia (anglicised from Raschid) and Eva Lutvey moved to Queensland. It was hard being a Syrian hawker in a country increasingly based on a policy of White Australia. But Errol’s forebears, Abraham, Hebrew for Ibrahim (إبراهيم‎,), and Minnie Lutvey were very successful in Gayndah. When Errol was growing up, his Aunties Rose, Mona and Mary Lutvey had a dressmaking shop near Norman Creek, also prone to flooding. I went down there one day only to find his older brother Dan trying to dry out his huge collection of books with a hair dryer. A flash flood had hit the shop on the corner of O’Keefe and Junction Streets where Dan kept his books. I got a job in the government sector in the early seventies and was summarily dismissed after a fortnight when the “security checks” were completed – and there was no other reason for dismissal except my Special Branch file. Not a criminal record, mind you, just a Special Branch file. I know that there were many others who were similarly blacklisted. Years later, Errol’s brother, Michael, would explore intrigue in the Queensland Public Service in the recently published Michael, we really have to talk. As a student I remember listening to Errol on 4ZZZ lamenting the failures of sometimes quirky Queensland political leaders. So many stories, but underlying all is the ongoing struggle for social justice and opposition to war, inherited from the past and passed on to us all in Errol’s writing, his plays and his collection of essays like Denying the faith & other stories about growing up in Stones Corner in the 1950s. I am saddened by Errol’s passing, especially so soon after Michael’s. Katherine and my condolences go out to Dan and to Mary Kelly and to Errol and Mary’s sons, Joe and Kieran. We will miss Errol greatly. Raw kibbeh : generations of Lebanese enterprise (edited by Anne Monsour). 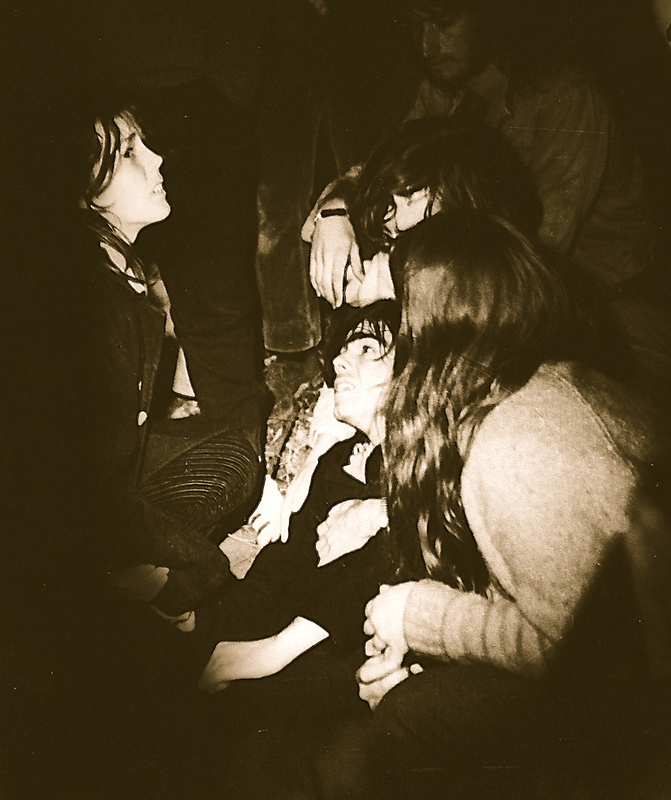 Luke Swan lying injured after police bashed him in Wickham Park during an anti-apartheid demonstration on 24 July 1971. 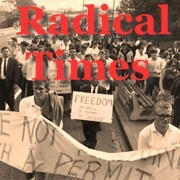 Photo credit: ©Peter Gray, 1971 Source: Radical Times Historical Archive. 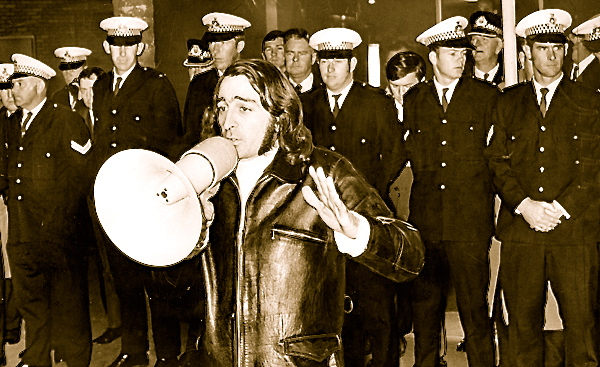 Errol O’Neill speaking to people in front of a phalanx of Queensland Police outside the Tower Mill Motel in Brisbane on Friday 23 July 1971 during the apartheid tour of the Springbok Rugby Union Team. 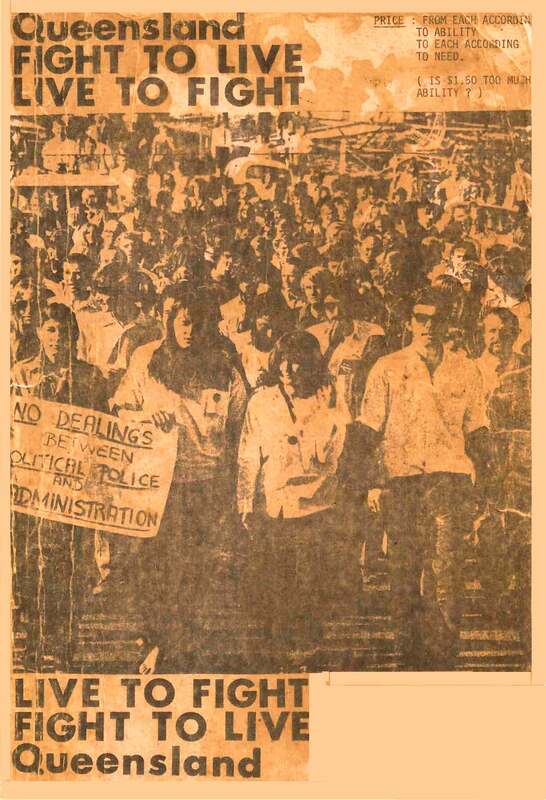 Photo: Courier Mail 24 July 1971. Please see full unedited version submitted to the Courier Mail below the clipping. Errol Joseph O’Neill was born in 1945 in Brisbane, Queensland. As a young man, his deep political convictions meant he would dedicate himself to fighting injustice, discrimination and elitism. Never one to shy away from a challenge, he chose to do it with art. As a writer, actor and theatre director, Errol had a long and successful career. He was a contemporary of both Geoffrey Rush and Bille Brown at the start of their careers in Brisbane as they transitioned from university to the mainstream. All three were regarded as equally talented, but Errol’s commitment to telling the stories of Queenslanders for Queenslanders persuaded him to remain in Brisbane. As a writer, especially as a playwright, recognition came later, but he never wavered, either in his political convictions or his determination to realise them through his craft. Errol studied philosophy and theology at the Gregorian University, Rome, then studied arts, majoring in English language and literature, at the University of Queensland. While at university he began writing, performing, directing and producing theatre. As his political focus sharpened, Errol joined forces with like-minded, talented people in theatre and activism. He was instrumental in The Popular Theatre Troupe, a ensemble arguably the most politically articulate and radical theatre company ever to emerge from Queensland, touring its acerbically witty political satires all over Australia in the 1970s including to the Pram Factory in Melbourne – the heart of the Australian New Wave theatre movement. His main-stage plays focused on Queensland’s history and themes of greed and power. Despite his anti-establishment views, or perhaps because of them, Errol was involved in many organisations dedicated to improving the performing arts industry and was respected for his industry contribution. From 1984 to 1987 he was a member of the Australia Council, serving on Literature Board grant committees. He was a committee member of the Queensland branch of the Australian Writers Guild and the Queensland representative on their National Stage Committee. In 2003 he was awarded a Centenary Medal. He received the Playlab Award for services to new work in Queensland. Errol had 17 film and TV credits, including Len in East of Everything, Sirlak in Mission Impossible and Sergeant Rutter in the 1976 feature film Surrender in Paradise. “Sometimes during a performance, no matter how well controlled and rehearsed, you find yourself in uncharted waters, and your resolve, strength and confidence come not from your own conscious abilities but from the deep pool within yourself. He was able to see what made people tick because he could see how they were shaped by the forces around them. For Errol, the combination of the domains of writing, acting, and direct political action were all one seamless integrated quest. 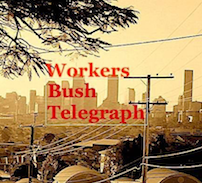 His success as a director and producer revealed his drive and determination to take his art and his politics “to the streets” (not to mention factories and shopping centres, as well as theatre venues from church halls to Southbank). “I don’t think I am any less of an artist, writer or actor because I have a dominant political motive,” Errol once said. “I would not like to be seen as a neutral artist. There is no such thing as neutral art. All art is political”. Born of Lebanese and Irish parents, Errol was 71 when he died. His mother Gladys Lutvey was a descendant of the Lutvey and Farrah families who came to Australia from Zahle Lebanon in the late 1800s. 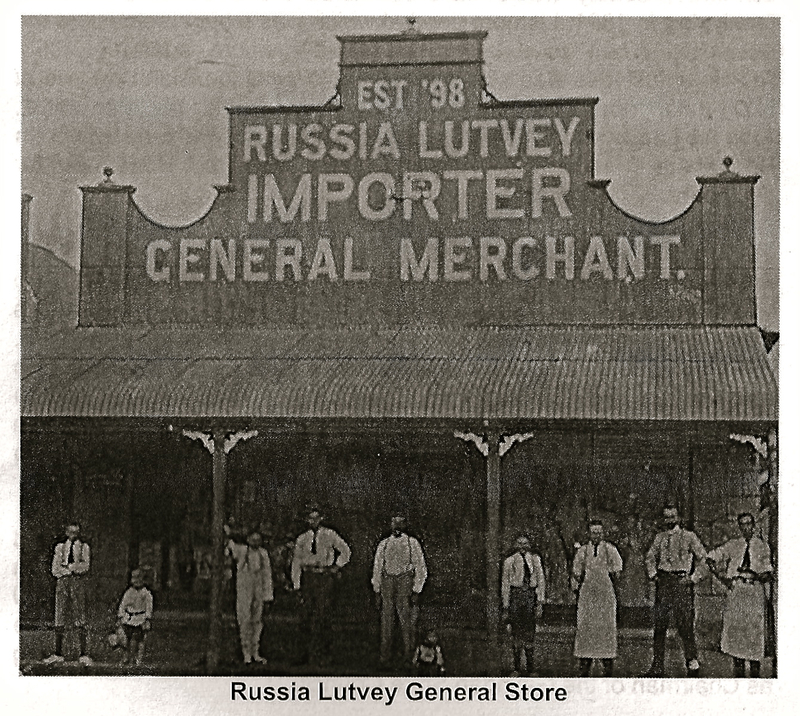 They settled in Gayndah in South East Queensland and opened a store there in 1898. Errol’s dad was Frank ‘Bluey’ O’Neill who drove a taxi often seen parked at the Stones Corner rank. This was a trade Errol himself took up to finance his art. ‘Bluey’ and Gladys sent their sons to St James School at Coorparoo. Errol is survived by his partner Mary Kelly and sons Kieran and Joseph. An industry tribute to Errol was standing room only at a Southbank auditorium. Errol was the best of us. We were all political. We all shared his strong views on political activism. We strove as he did to be honest, courageous, defiant and compassionate in our private and public lives. We believed the key to being better people and living a ‘good life’ (philosophically speaking) was to radically improve society as a whole. Yes, we talked about it. We even marched for it, stood in picket lines for it and got bashed for it, when things got really bad. But more than any of us, Errol made it his life. Even now, Errol, you make us cry and you make us laugh, as you always could. I am deeply saddened by Errol’s death a beautiful man. 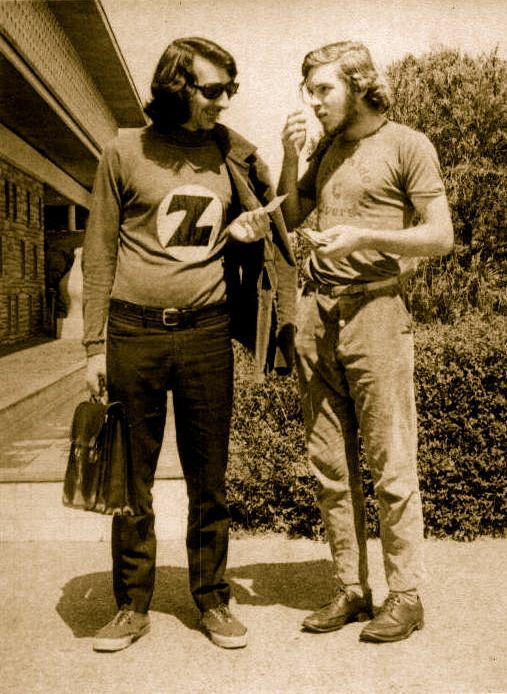 I was introduced to Errol through Ralph Summy and we took to each other straight away. Sometimes its like you have always known the other person. The times I went to his house he would have the coffee on in no time at all always smiling I think he found me a source of amusement a ranting Irish man. We always enjoyed good conversation.and I asked him to edit my musical/play. ‘You are not introducing the drama early enough life is about drama and we get a little peace in between” and how true is that. Ha ha Thanks Errol for your company I was only thinking last week I must drop in for a cuppa. Thank you so much Ian, you are such a good man & so good at documenting stuff. Glad you’re in our world Buddy. These lyrics, from a song my father would sing, would go around my head whenever I would encounter the O’Neill brothers. Happily for me this first occurred in 1977, when I was in my last year of high school and Joh banned street marches. 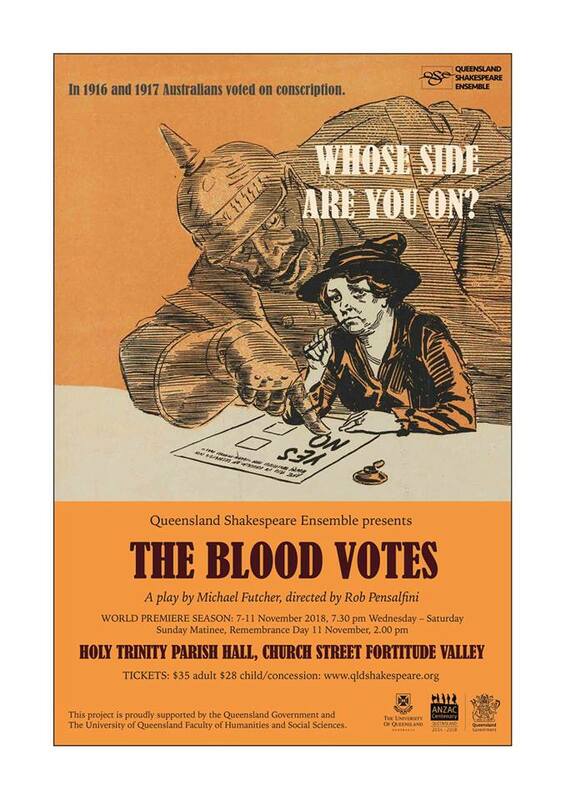 Errol O’Neill’s Popular Theatre Troupe would gather and entertain the troops, taking the piss out of the Joh Bjelke Petersen Queensland government, and Dan O’Neill would give an inspirational speech. Having been duly mustered and incited, off we’d go, picking up the pace down the steps of King George Square into the fists, knees and elbows of hundreds and hundreds of Queensland police. Seemed like as good as strategy as any to my 17 year old self! If you were lucky, one of the Popular Theatre Troupe cast would end up in a cell near you in the watch house and the show would go on for this captive audience. I remember Errol picking me up hitch-hiking on Wardell St. Enoggera around this time, my approach to suburban transportation being as pragmatic as my approach to social change. I remember not only his great plays and acting performances, but also the wonderful short stories he would read about his taxi driving experiences. My mother always recounts what a great performance Errol gave in the one man play “The Christian Brother”. My thoughts and prayers go from here in rural Wales to Errol’s family and close friends. O’NEILL, Errol Formerly of Paddington. Passed away 23 April, 2016. Aged 71 Years. Husband of Mary Kelly. Father of Joseph and Kieran. Brother of Dan and Michael (dec’d). Family and close Friends are invited to attend Errol’s Farewell Service at the Kelvin Grove Chapel, 270 Kelvin Grove Road, Kelvin Grove, on Tuesday, 3 May, 2016, at 11am. In addition, a public memorial gathering will be held on Saturday 7 May from 1:30pm to 4pm in the Auditorium of The Edge (State Library), where all family, friends and colleagues are welcome. I’m saddened to hear this. Erroll was a quiet and unassuming man with an intellect and passion for justice, and a heart for the struggle; well partnered in Mary. Blessings to you, Mary, and the boys. Sad news. Great solid talented person. Thoughts to his family…. Really sad to hear of Errol’s death. He was a great inspiration because of his intellect, passion, politics and sense of humour. Farewell old friend. My thoughts go to Dan, Mary and the children. A memorial gathering will be held on Saturday 7 May from 1.30 pm to 4pm (approx) at the Auditorium in The Edge (next to the State Library near the river at South Brisbane). All are welcome to this reflection and celebration of Errol’s life and work. Formalities will start at 2pm and there will be an opportunity, for anyone who wants to, to share reminiscences or stories. Refreshments will be provided. See link for details of location and parking: http://edgeqld.org.au/contact/. Mary, Joe and Kieran O’Neill, and Dan O’Neill.